Eirik Baldurson — son of Baldur, God of Light — failed living as a Mortal. He lost the girl of his dreams and nearly got his friends killed. Now, he's gone to the underworld to meet the mother he's never known. Torn between his duty to her and the man he used to be, Eirik struggles to find himself, until a witch appears in his world. Feisty and stubborn, she is a reminder of everything good he left behind. Eirik Baldurson -- son of Baldur, God of Light -- failed living as a Mortal. He lost the girl of his dreams and nearly got his friends killed. Now, he's gone to the underworld to meet the mother he's never known. 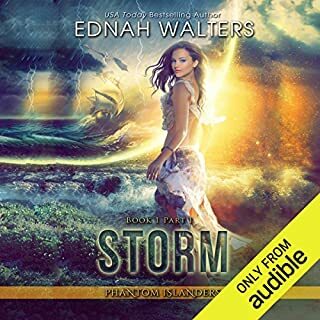 Torn between his duty to her and the man he used to be, Eirik struggles to find himself, until a witch appears in his world. Feisty and stubborn, she is a reminder of everything good he left behind. Witches continues the story of Raine and Torin. This story's timeline overlaps with Cora's in Souls. Raine Cooper's life should be perfect. She's an Immortal Seeress, most likely to be elected prom queen, and envied by the girls at Kayville High for dating the dreamy quarterback, Torin St. James. Instead she's haunted by the smug facial expressions the Norns' wore during their last meeting. As a Norn-in-training, Raine crossed the line long ago when she sided with the Valkyries and Mortal Witches. When the Norns return with demands of their own, Raine feels trapped. She must repair the battlegrounds and wipe out the memories of every Mortal witness. Torin tries to convince her that the Norns are manipulating her, but she refuses to listen. At least until the Norns' demands focus on someone she loves. When Raine refuses to cooperate with them, their punishment is swift and gut wrenching, turning her pain into fury. Raine plots revenge on a massive scale and makes deals with unsavory allies. Her goal? Total destruction of the entire Norn race. Raine's only hope of salvation is Torin, but how much will he sacrifice to save her? 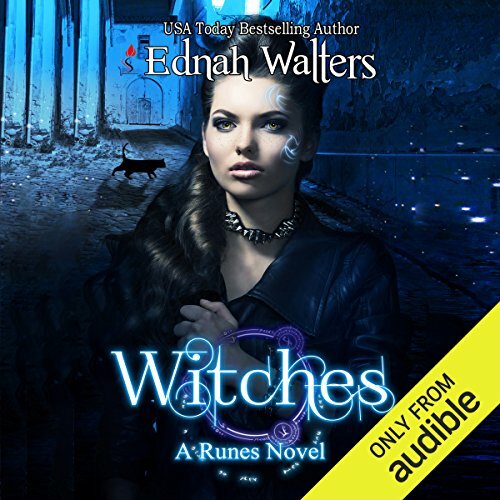 ©2015 Ednah Walters (P)2015 Audible, Inc.
What did you love best about Witches? Onyx is funny, fierce, and occasionally sweet. Also, I thoroughly enjoyed Ingrid's character development. The story is complex, compelling, and well done. Have you listened to any of Stephanie Terry’s other performances before? How does this one compare? 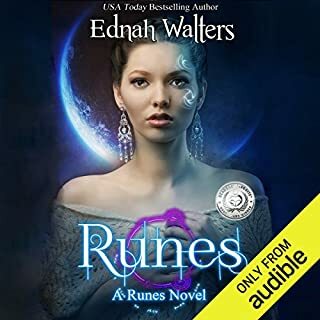 I have listened to four of the Runes series books, including this one. I liked this narration the best. 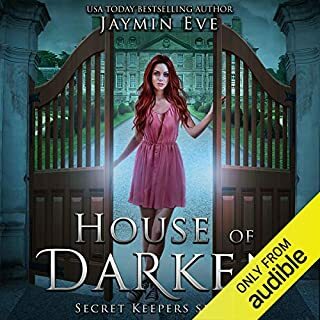 I still found Cora's voice a bit annoying, but not as much as in other books written from Raine's POV. It's a race to keep control of her life. Eff the Norns. I found this series to be a fresh YA series. While it stays pretty true to the overall genre, the components aligned to Odin and his pantheon into an alternative universe was compelling and kept my interest. I enjoy the overlap of characters and focus on them for more than just one book like so many do. I ran through all of the books available and am looking forward to upcoming installments. 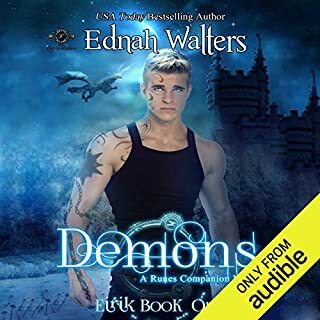 Absolutely the best series I have ever read, EDNAH WALTERS you're the greatest writer. I loved this series and would love to read another very soon!! Runes, immortals, and witches, such great fun! Love this series, but the ending wasn't satisfying for me. It kind of fell flat and felt too easy. But I'm still looking forward to the next book because I love the characters. If you could sum up Witches in three words, what would they be? What other book might you compare Witches to and why? Well lets see, maybe the City of Bones. Two lovers with something or someone always out to get them. But then it isn't the same at all in other ways. What does Stephanie Terry bring to the story that you wouldn’t experience if you just read the book? I did enjoy listening. It brings depth to the characters that I wouldn't have gotten otherwise. I did laugh in a few areas. These characters have grown on me. If you aren't emotionally evolved by now it probably will not for you. 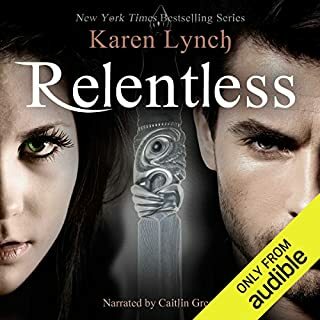 Would you consider the audio edition of Witches to be better than the print version? I think the áudiobook allows the listener to experience the story more actively because the person doing the narration seeks to convey the emotions of each character. I liked Raine. She did what she though was right. I really, really recommend this series. absolutely love how this book gave you a different point of the events that happened in souls. 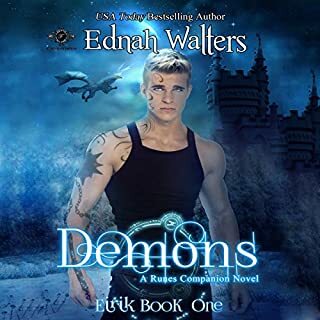 Ednah Walters has become one of my favorite authors. I am anxious to see what happens to Eirik. with every page turn you will be on the edge of your seat! she even made me cry in this one. you become so attached to the characters and the emotion of everything going on it was just amazing! DANG NOW I HAVE TO WAIT!!! This Series is SO AMAZING!! I'M NOW I'M WAITING MODE TILL THE NEXT BOOKS COME OUT ON AUDIBLE!! HOWEVER AS SOON AS THEY ARE AVAILABLE I WILL PRE-ORDER THEM & BUY THEM DOWNLOAD THEM ASAP! I CAN'T WAIT! !